For unscored Intermission Matches, use the Intermission Rosters. Copy and paste the following into the “search” box in Champion Select to bring up each faction’s Champions. Gnar and Katarina are MIA for the remainder of the arc: Gnar is recovering with the other “prehistoric” yordles on Argyre after a pie-induced rage-out, and Katarina is lounging on Aeaea’s beaches sipping fruity drinks. Note that sanctions do not apply in battle matches, i.e., in Featured Matches conducted to direct the outcomes of battles that take place off the Fields. Kassadin. The Shadow Isles have brought Kog’maw onto their roster. As a result, Kassadin is automatically available to all factions fighting against the Isles in matches against the Isles, regardless of whether Kog’maw is selected in that particular match. Sanctions (the Freljord). The Freljord has been sanctioned for their actions on Krocylea. Opposing teams get one ban against them in all matches. These rosters change as the arc progresses. For Champions added by story updates, click their portrait to read that update. Each faction’s Summoners play a role in deciding which Champions they’ll unlock next. This is an important part of the Factions meta-strategy. Potential Champion pickups are noted after the rosters. Secondary Champions are easier to add than Tertiary Champions. Katarina oversees recruitment to the Noxian privateer fleet. Was that probably just a promotion for her Bilgewater skin? Yes. Is it still lore? Yes. Are we going to use it to pad out their roster? Yes. If Bilgewater selects Renekton in a match, Nasus becomes freely available to the other team for that match. If Bilgewater picks Diana in a match, the other faction may freely select Leona in that match…unless they’re the Shadow Isles, whom Leona has judged spookier than the Lunari. Lulu and Viktor were selected in Lore Event III. Bilgewater may be able to unlock the following Champions through match victories and lore event decisions. Secondary Champions are easier to add than Tertiary Champions. 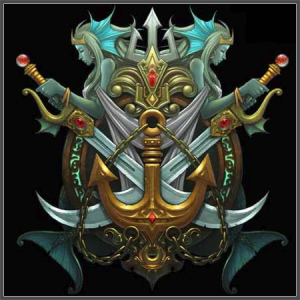 Bilgewater has a large number of mercenary options. Gragas is a merchant. Being drunk is piratey. Sivir is a mercenary par excellence. Katarina has her number from when she worked for Noxus. Talon is a Noxian assassin affiliated with House DuCouteau. Basically, it’s canon that Katarina can order him to get her coffee anytime she wants. Although Ashe and Tryndamere nominally rule the Freljord as the Queen and King of the Avarosan, the Freljord remains a divided land. During this storyline, the Freljord’s Summoners will have an opportunity to decide which subfaction will lead them: the diplomatic and orderly Avarosan, the savage Winter’s Claw, or the mysterious Frostguard and their allies the Troll Tribes? (By default, the Avarosan are in charge, but there will be an interactive lore event shortly after the arc begins that will put this to a vote.) Their Champion choices will also be somewhat influenced by this decision: each sub-faction has an unlockable Champion associated with it, who normally counts as a Secondary Champion but will be treated as a Core Champion while their sub-faction leads. In Lore Event I, the Summoners of the Freljord chose to follow Ashe … for now. Udyr‘s loyalty will be was determined by a tournament between Ionia and the Freljord. Jarvan IV and Gnar were selected in Lore Event III. The Freljord may be able to unlock the following Champions through match victories and lore event decisions. Secondary Champions are easier to add than Tertiary Champions. Each of these Champions is associated with a particular sub-faction. Whichever sub-faction leads will have its Champion upgraded to Core status (even easier to pick up than Secondary) to reflect their allegiance. 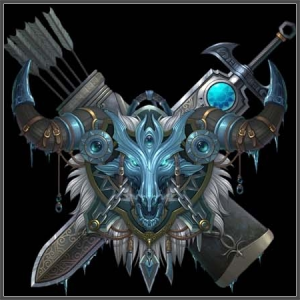 Olaf (Winter’s Claw) is emblematic of the fierce warriors who follow Sejuani into battle. The Freljord has attracted Gnar’s interest through its adventures on Argyre. He could be recruited as a Tertiary Champion by petition. Ezreal and Lucian were selected in Lore Event III. Ionia may be able to unlock the following Champions through match victories and lore event decisions. Secondary Champions are easier to add than Tertiary Champions. Udyr‘s loyalty will be determined by a tournament between Ionia and the Freljord. Ezreal wants to explore Ionia. He’s also basically an anime character. That counts, right? Yasuo remains a wanted man, but was allowed to fight for Ionia under the special circumstances of the new war with Noxus. He might be recruited again. Jax appreciates Ionia’s martial expertise, and would welcome the opportunity to fight alongside Ionia’s greatest martial arts masters. Syndra is a mean teen who refuses to submit to Ionia’s leadership or go to bed when Karma tells her to. It’s possible that she could be convinced to aid Ionia in seizing control of Nyroth, though there would be a steep price. She’s much more likely to end up on a hostile faction’s roster. Zed’s Order of the Shadow killed several Ionian officials during the Shon-Xan dispute. This shock to the system created an opening which Noxus and Zaun exploited to launch a devastating full-scale assault. It’s more likely that he’ll end up on an opponent’s roster than on Ionia’s. Kog’maw joined the Isles in Lore Event III. The Shadow Isles may be able to unlock the following Champions through match victories and lore event decisions. Secondary Champions are easier to add than Tertiary Champions. Shaco is a demon clown. Pretty spooky, right? The Void Champions (Cho’gath, Kha’zix, Kog’maw, Malzahar, and Vel’koz) are potentially available to the Isles. They joined forces during Discord, and almost overran Runeterra. Since Factions began, there have been requests to have some conditional Champion availability rules. We’re trying all kinds of crazy new stuff with Nyroth, so I decided it was time to give this a try. Details follow. Special thanks to JDmage for doing much of the initial concept work here. There is one universal requirement: CupcakeTrap will be deeply disappointed in you if you take a Hostile Champion into a match against their rival and fail to make at least one over-the-top all-chat declaration of your intent to thwart them. Certain Champion pickups or other actions can bring a rival Champion into play “for free”—they will be automatically available to at least some other factions, though only when opposing the faction to which they are hostile. However, they are not available until their rival faction triggers their entry into the dispute: for example, Leona is not available to anyone unless and until Bilgewater recruits Diana. If Bilgewater restores the Lunari and recruits Diana, Leona will be available for free to any faction (other than the Shadow Isles) going up against Bilgewater, in any match in which Bilgewater selects Diana. If the Shadow Isles recruits a Void Champion to its roster, Kassadin will be available for free to any faction in matches against the Isles. If Bilgewater recruits Renekton, Nasus will be available for free to any faction going up against Bilgewater, in any match in which Bilgewater selects Renekton. A note on Nasus and Leona: they can only be chosen if their opponent selects Renekton or Diana (respectively). It has been pointed out that, if (e.g.) Bilgewater were to lastpick Renekton, their opponent would be unable to select Nasus. We considered a rule requiring Bilgewater to declare they would be taking Renekton beforehand. This would get pretty complicated and burdensome, though. We’ve decided not to impose any such rule. That said, this is not carte blanche for Bilgewater to exploit the rule by (e.g.) rearranging their team to get Renekton last: we expect good sportsmanship, and if there is abuse, we may have to rethink this ruling. The following Champions are available for recruitment, but only in matches against their enemy faction. However, they must first be recruited via petition to the League. They are treated as Secondary Champions for petition purposes. There may be diplomatic repercussions for recruiting these Champions: for example, if the Freljord were to recruit Syndra, it would seriously damage relations with Ionia (and to a lesser extent with Demacia). Brand may be recruited for matches against the Freljord. Lucian may be recruited for matches against the Shadow Isles. Syndra may be recruited for matches against Ionia. Zed may be recruited for matches against Ionia. Some of the islands of Nyroth may include an opportunity to pick up a Champion, or at least make them available. Aatrox will appear to offer his services to factions that are losing the fight. Accepting his offer is a dangerous move that will not be well received by the League or other factions: where Aatrox goes, war soon follows. A faction that has been below zero on the Balance of Power for the past two weeks, and has lost a majority of its Featured Matches, will be given the option to recruit him during League petitions. The Darkin’s assistance comes at a steep price. Attempting to recruit Aatrox uses up one of the faction’s two petition slots for that week, and it may not use its other slot to attempt to recruit a Champion; it also may not support or oppose another faction’s petitions this week. If only one faction attempts to recruit Aatrox in a given week, it automatically gets him; if more than one faction attempts to recruit him, the faction with the highest vote percentage for recruiting him gets him. Whoever does end up recruiting Aatrox instantly loses two-thirds of its Favor. (This penalty takes effect before its petition is processed: it will be hard to convince the League to do anything while you bring the avatar of war under your banner.) All Favor gains for the remainder of the arc are cut in half. Finally, the faction’s Danger Level is doubled. “That is one costly top-laner,” you say. First, it is worth noting that these costs are less severe for a faction that is already down-and-out: it likely has little Favor left to lose. Second, Aatrox has a reputation for a reason. For the remainder of the arc, the faction rolls twice and uses the higher roll for all violent, military-related, or otherwise warlike options in lore events and the like. As for actual battles, Aatrox allows the faction to roll twice on the d6 random Strength modifier and use the higher result, increases the faction’s overall Strength by 20%, and inspires defeated units (lost, driven into retreat, etc.) to fight at full strength for the remainder of the battle.